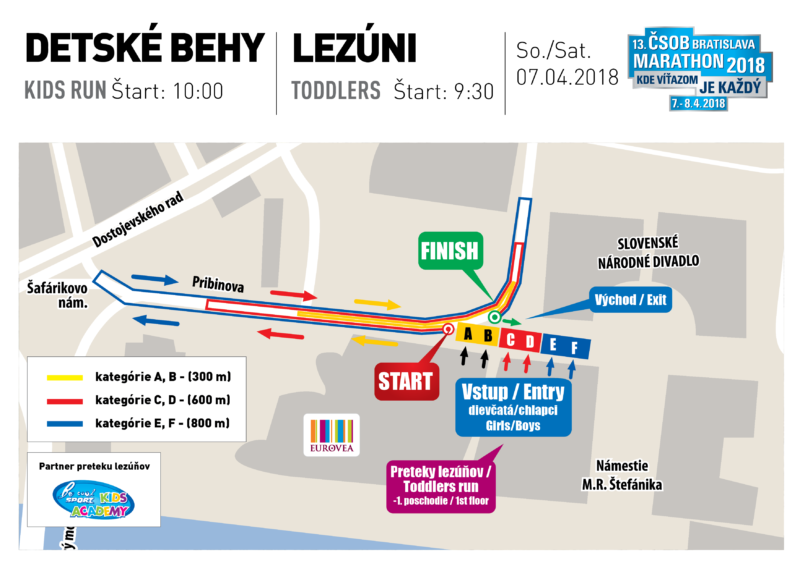 From its very begin in 2006 the BRATISLAVA CITY MARATHON – since 2008 the ČSOB Bratislava Marathon – has been building its reputation and fix place among sports and public events not only in Bratislava but it ranks among the most important events within whole Slovakia and it becomes more and more popular even among foreign runners. 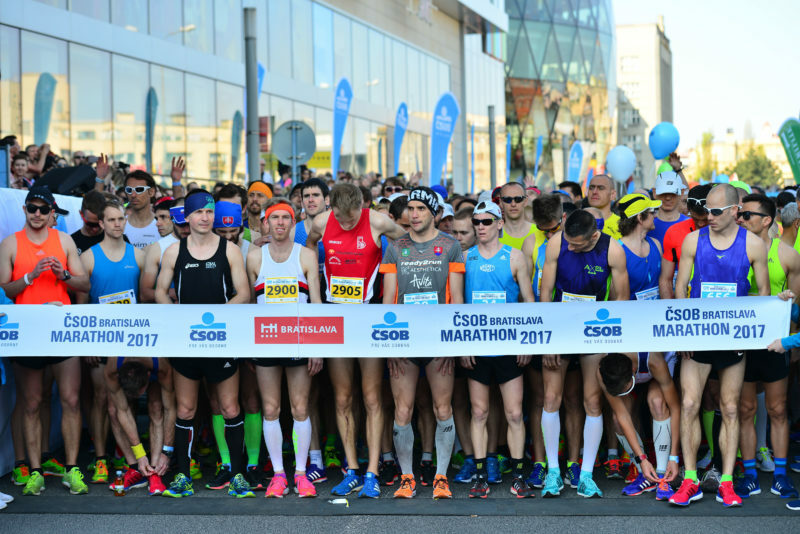 The registration for the 13th edition of the most beautiful running event in Slovakia – ČSOB Bratislava Marathon 2018 is open since October 2017. 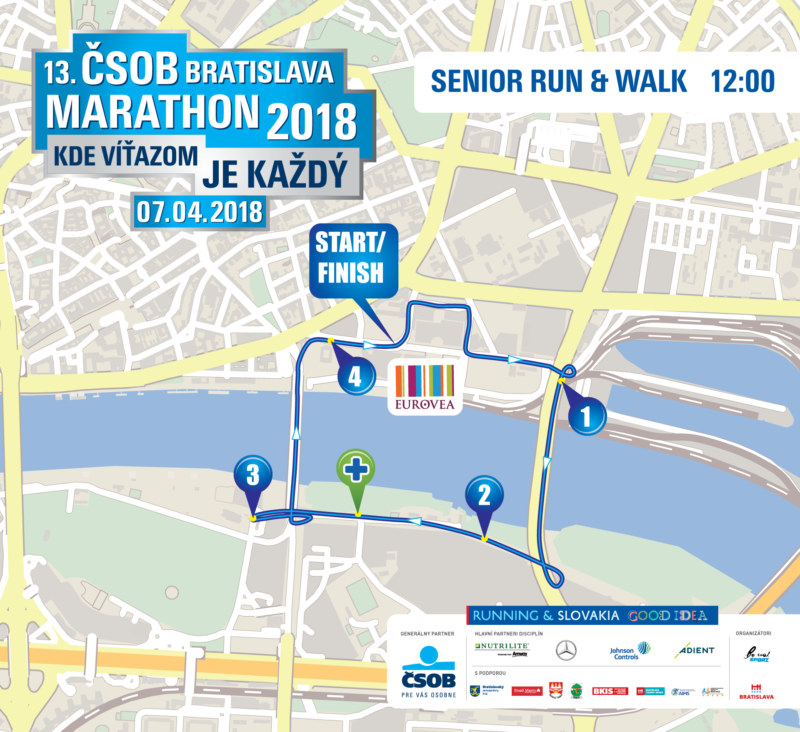 The 13th edition of the ČSOB Bratislava Marathon will introduce its 9th discipline – a new discipline called Senior Run & Walk – “The Run of Good Years” established for runners 60 and more years old (year of birth 1958 and earlier). The runners start on Saturday, 7th April at 12:00 and the course is identical with that for Mini Marathon – 4,2 km. Let´s together activate our parents, grandparents who are a big group of population who will convince us that one can do sports despite of age. The finish time of this run is not important. 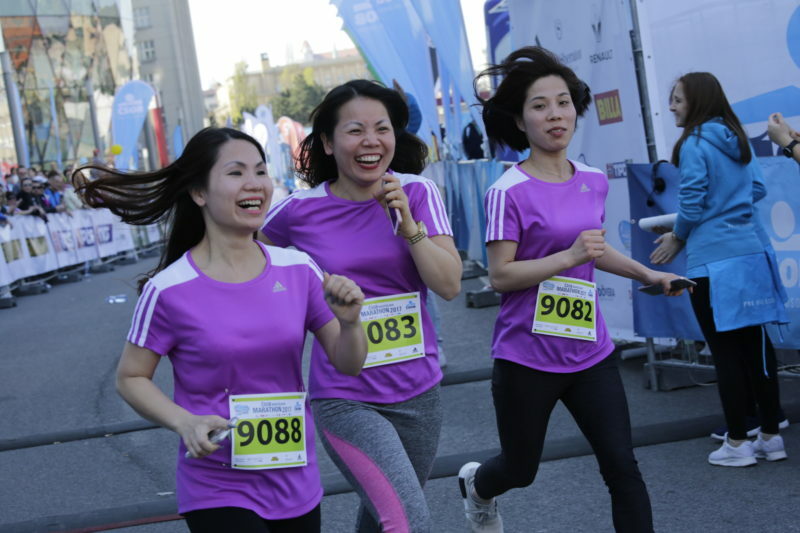 Important is to participate and enjoy the track even walking. 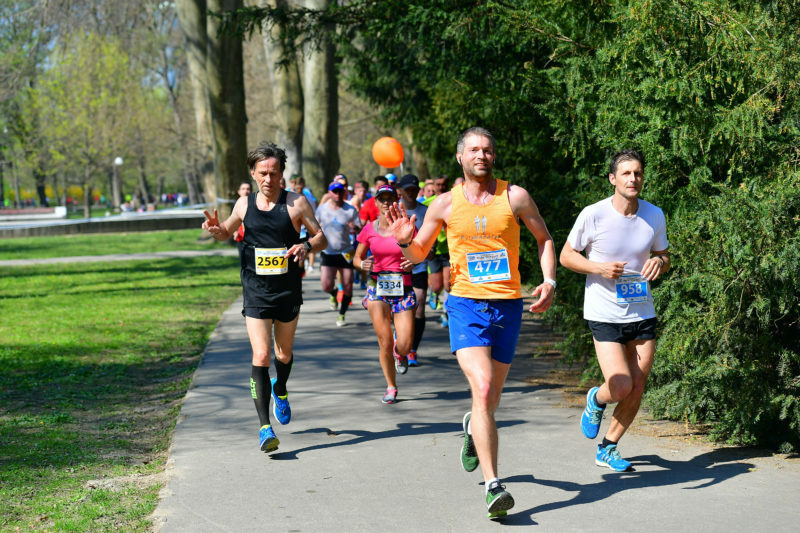 ČSOB Bratislava Marathon brings together whole families because this event is not only about victories but more about the amazing feeling, which each participant brings home in ones heart. 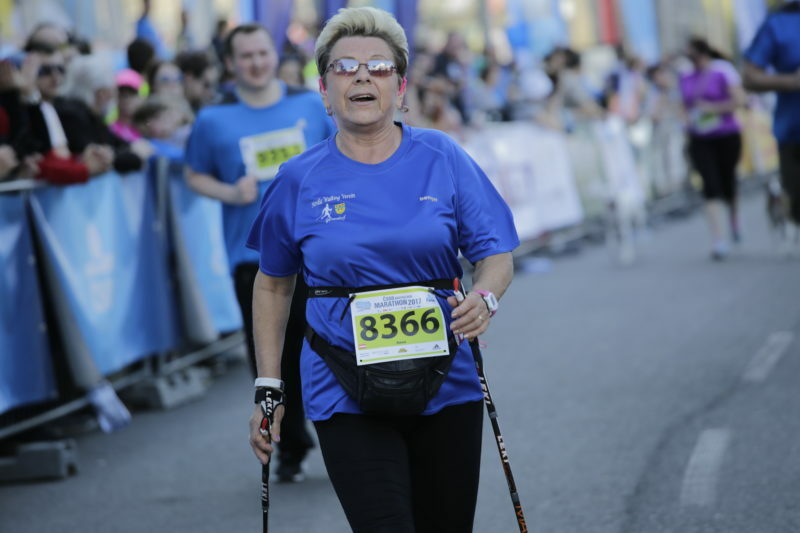 The unique atmosphere of this event is underlined also by the charity project called 43rd kilometer, which supports social and physically disabled children. 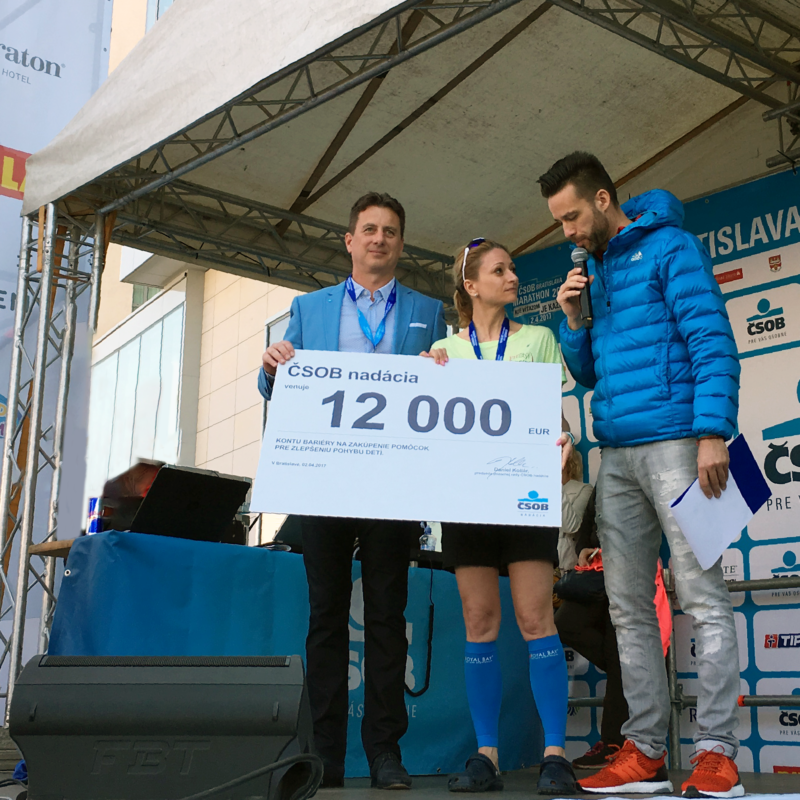 Come to the heart of Europe to enjoy the 13th CSOB Bratislava Marathon race on 7th and 8th April 2018. ČSOB organization team came with a new feature this year – a ČSOB mobile application that includes all the key information, social media links and maps. 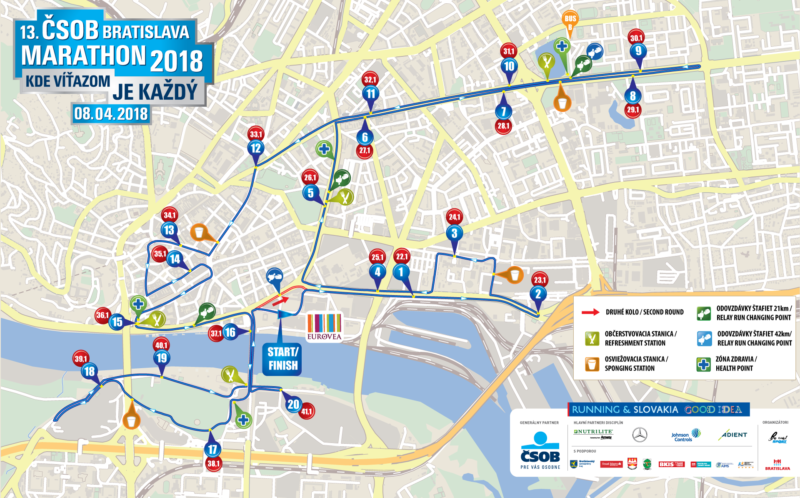 Traffic restrictions during the marathons.